"Our mission is to offer our customers the highest quality heating and cooling equipment, installation and service, at a reasonable cost." Since 1996, Seasonal Comfort has been providing cost-effective heating, ventilation and air conditioning solutions to the Piedmont Triad area. Seasonal Comfort offers free estimates, 24/7 emergency service and maintenance contracts to assure your maximum home comfort. We understand the value of a satisfied customer and thank them for the trust and loyalty they continue to reward us with. 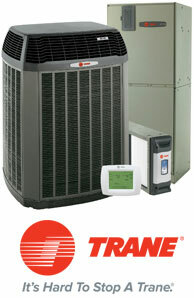 Call Seasonal Comfort today for a full range of air conditioning products and services. 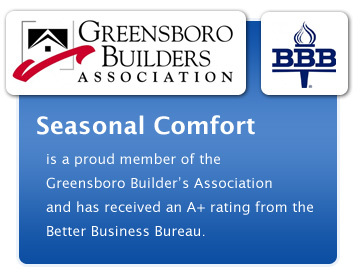 Seasonal Comfort is a proud member of the Greensboro Builders Association and has received an A+ rating from the Better Business Bureau. © Copyright 2016 | Seasonal Comfort Inc. | All rights reserved. Web design & development by AdServices Inc.